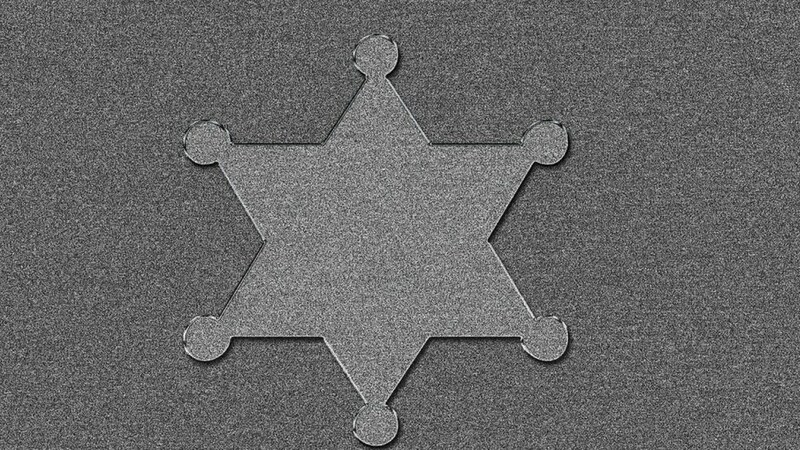 Republic Police Chief Loren Culp first proposed a “Second Amendment Sanctuary City Ordinance” making I-1639 null and void in the city soon after it passed last November and since then a number of county sheriffs have joined in refusing to enforce the new gun law, especially while the initiative is being challenged in court. With Democrat Gov. Michelle Lujan Grisham replacing pro-gun Republican Susana Martinez in the Governor’s Mansion, fellow Dems in the state legislature are eager to expand gun restrictions and are rushing a series of bills to her desk. The state House approved HB 8 last week, which aims to make it a misdemeanor crime to sell or transfer a gun in a private transaction without a background check performed by a third party. A Senate committee has passed their own version of the bill, slammed by gun rights groups, in a party-line vote. Meanwhile, HB 83 would implement a “red flag” law allowing courts to temporarily seize the firearms of gun owners thought to be at risk and a third bill, HB 130, would set a mandatory gun lock requirement. Many of the bills were on Lujan Grisham’s wish list of proposals backed during her campaign, during which she had the enthusiastic support of gun control groups. 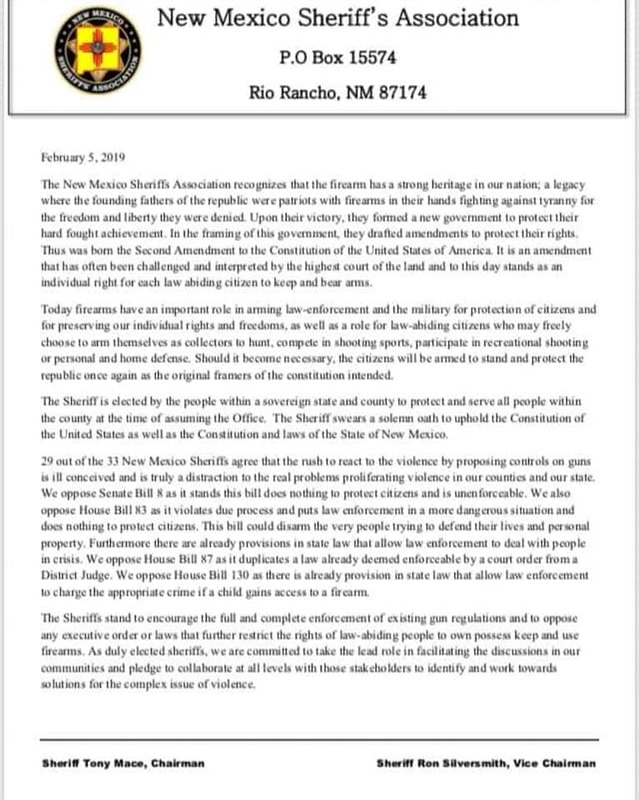 This blitz has 29 of New Mexico’s 33 sheriffs uniting in opposition to the package of anti-gun legislation by issuing a declaration through the state sheriffs’ association, holding the proposals are duplicative, could trample on constitutionally guaranteed rights, or just plain unneeded.